WASHINGTON (AP) -- Patience. A focus on incoming economic data. And no interest rate hikes likely soon. "Conditions changed dramatically in December with the stock market collapsing and global growth slowing " said David Jones, an economist and author of several books on the Fed. "Everything came together, and 'patient' became the Fed's new watchword." Economists also expect the Fed's updated forecasts to downgrade its estimate of growth in light of a slowdown in manufacturing and retail, sluggish housing and construction activity and global pressures, including an ongoing trade war. 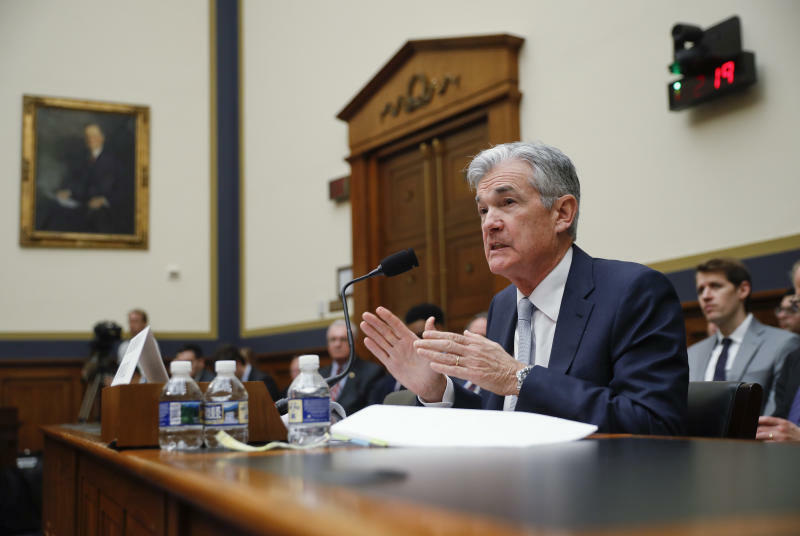 Still, some analysts say, the Fed will want to avoid escalating public concerns about the health of the economic expansion, the second-longest on record. "They don't want to be too alarming," said Diane Swonk, chief economist at Grant Thornton. "Much of this weakness is likely to be transitory." After sharply falling in December, stocks have rallied and recouped most of their late-year losses in trading since the start of 2019, a rebound credited larger to the Fed's easier monetary stance. Some analysts say they think the Fed won't raise rates at all this year if the outlook becomes as dim as they are forecasting. "I think we will be able to achieve 2.3 percent growth," she said. "It's a big slowdown from 2018, but it is still fast enough that the unemployment rate will go down further and we will get broader wage gains."